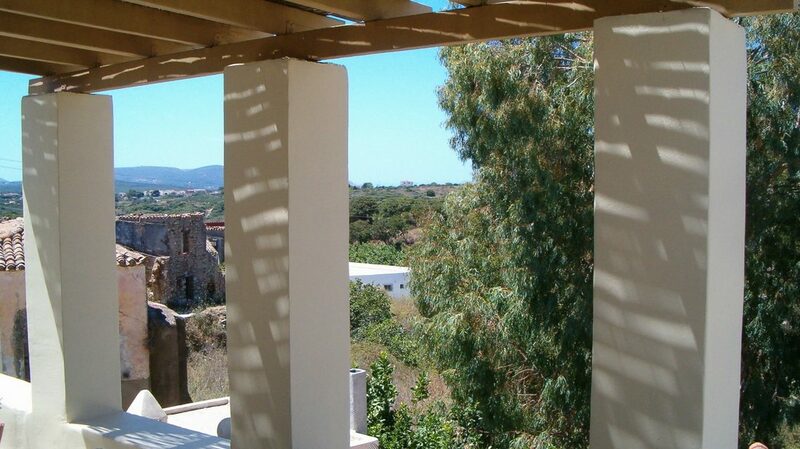 Just 50m away from the village square of Potamos, you will find the traditional Guesthouse Lanos. 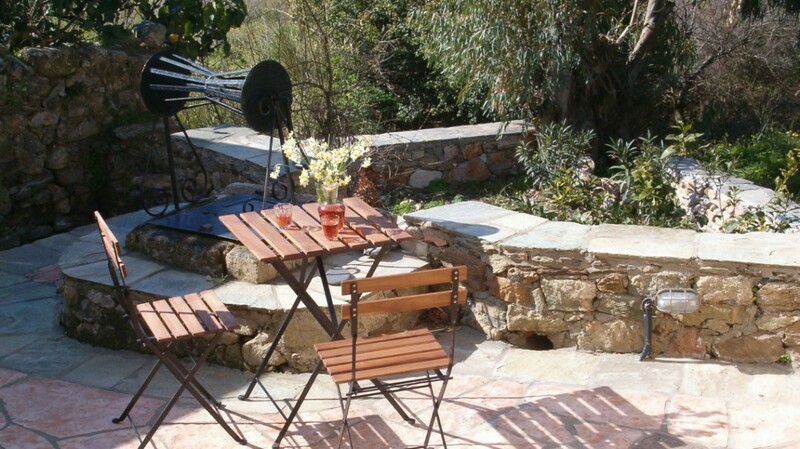 The name of this accommodation has been derived from the so-called ‘lanos’, the big stone ‘tank’ where they used to crush the grapes with their feet. 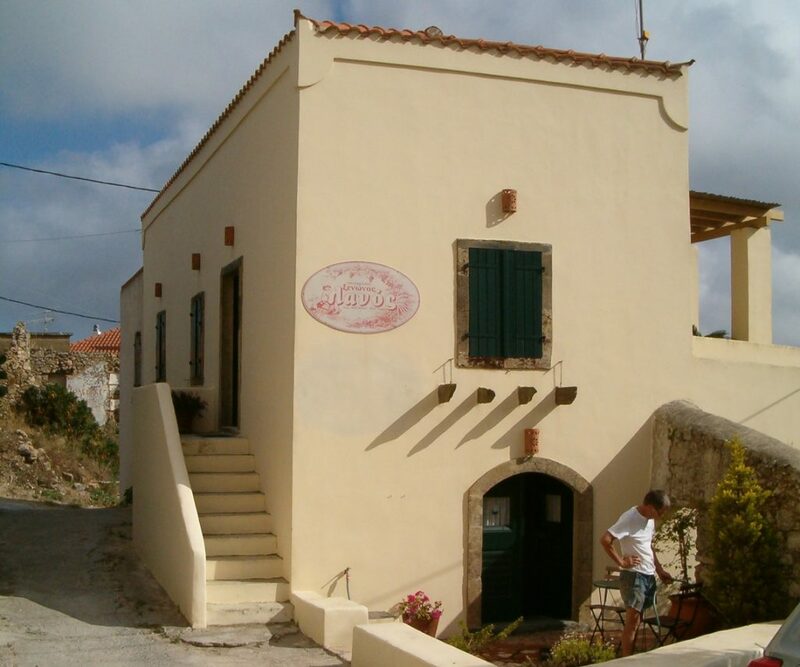 Guesthouse Lanos has two spacious studios, one on the ground floor and one on the first floor. 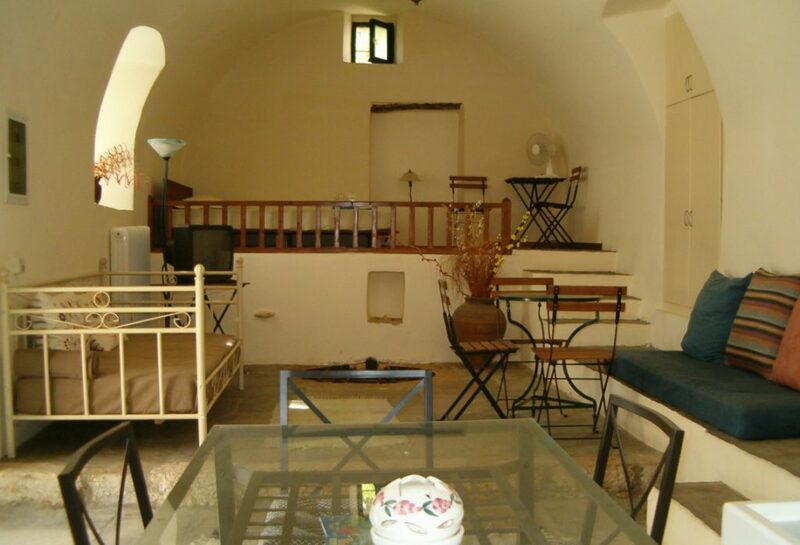 The studio on the ground floor, the Lanos, suits four people. 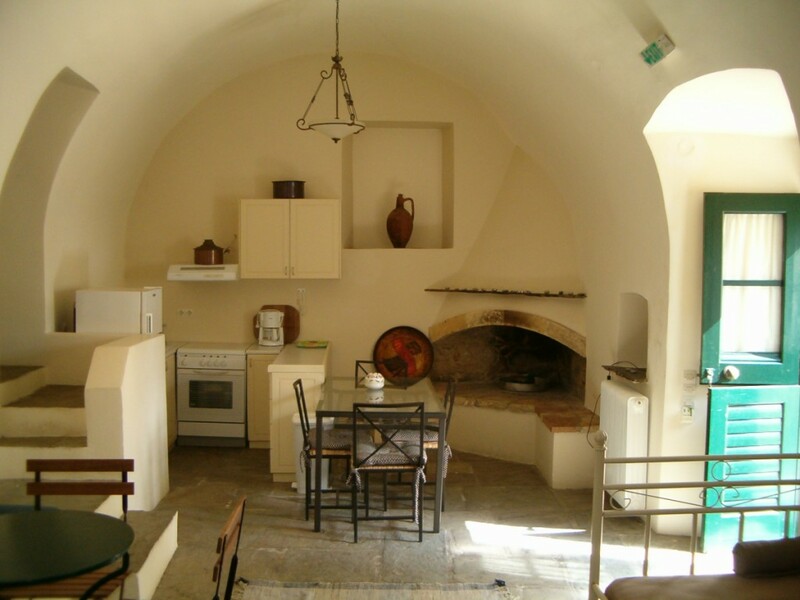 This big open space is a traditional arched room, the kamara, and has a fire place. 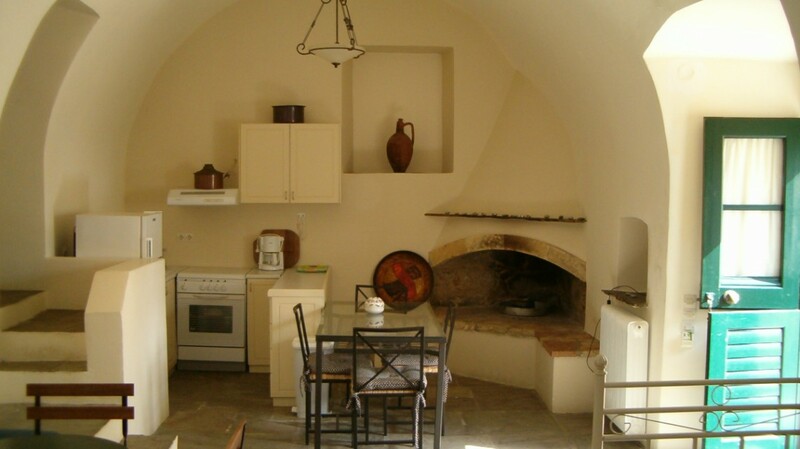 In the old stone floor you still can see the original poulani, the hole where they collected the wine after pounding the grapes. 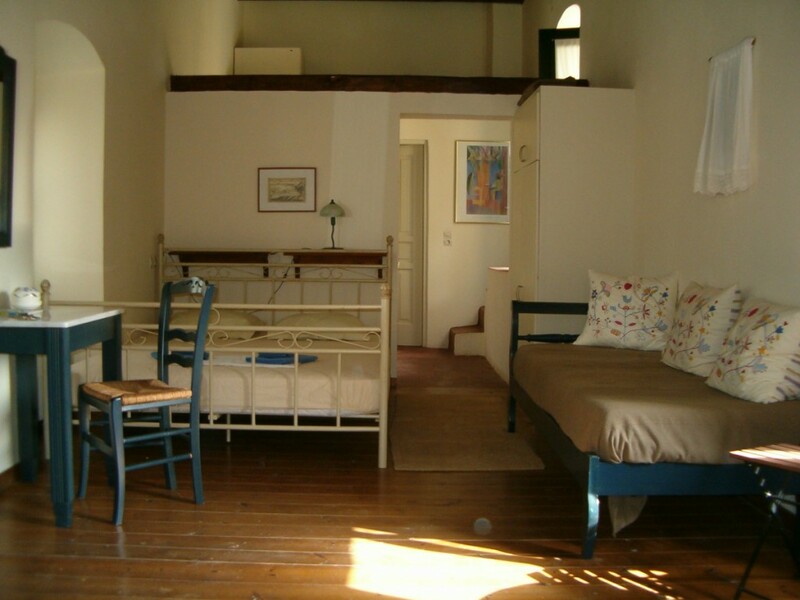 This studio also has a fully equipped kitchen and a bathroom with toilet, shower and wash stand. 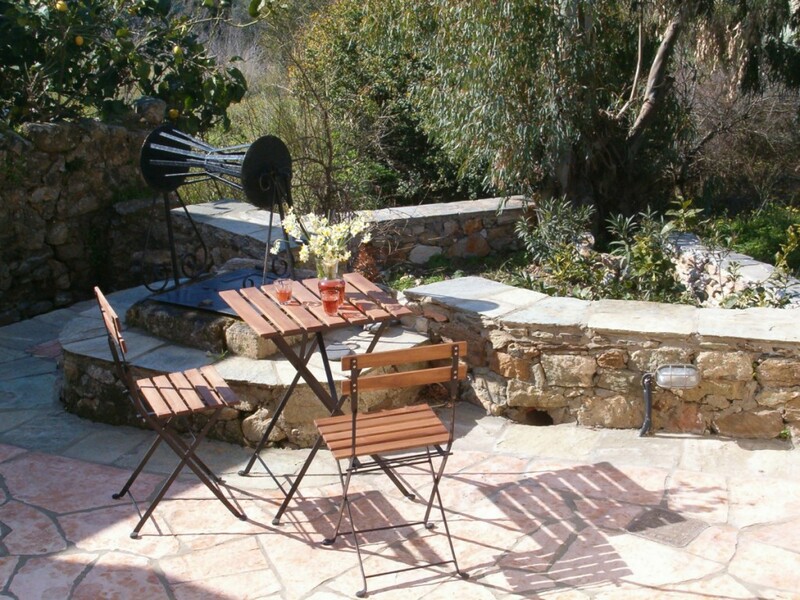 In front of the Studio Lanos is a wide terrace and the shaded garden. 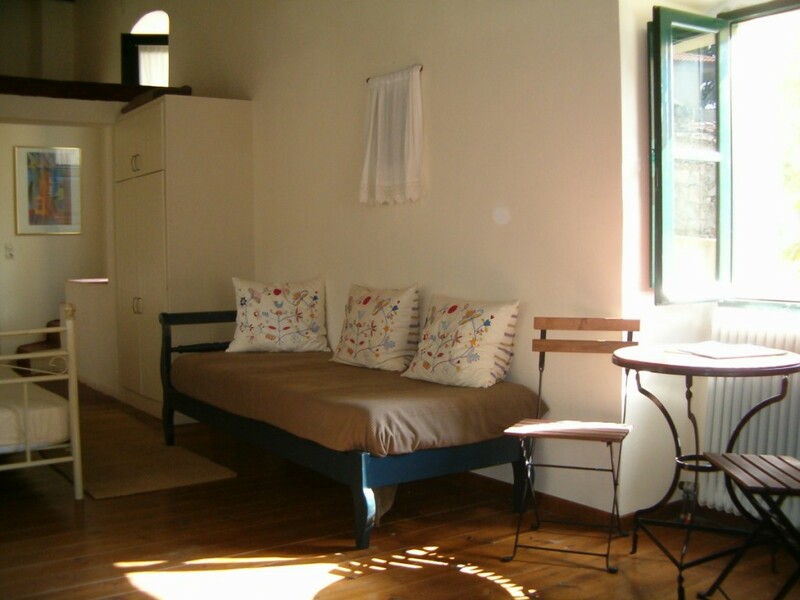 The Studio Sophia, named after the daughter of the owner, is on the first floor and has a beautiful wooden beamed ceiling. 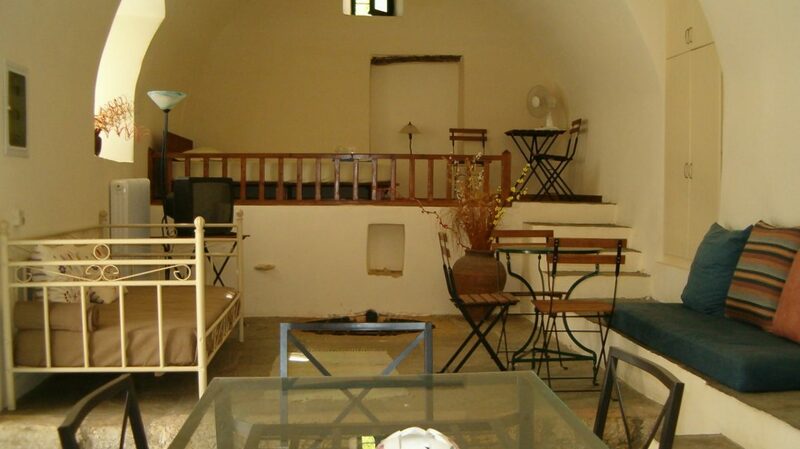 Also this studio has a large open living plan and suits four persons. Adjacent is the kitchenette with shower, toilet and wash stand. 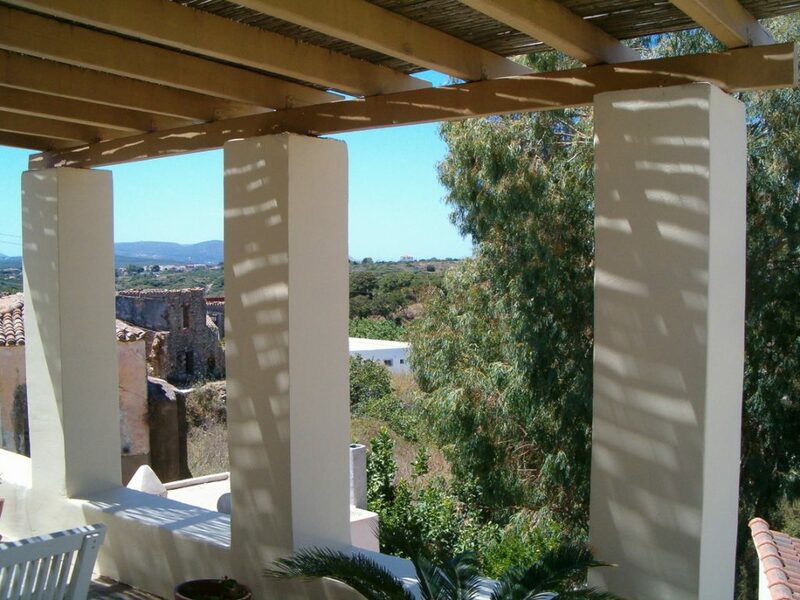 From the kitchenette you step out onto the spacious balcony which is partly covered by a pergola. 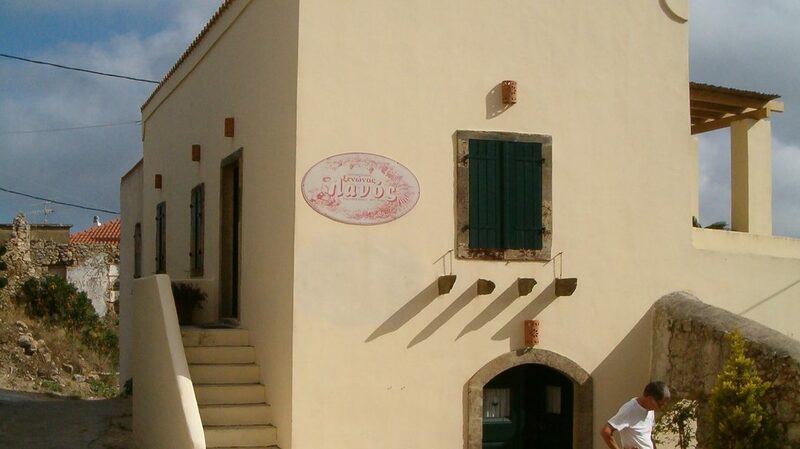 Guesthouse Lanos is open all year around. 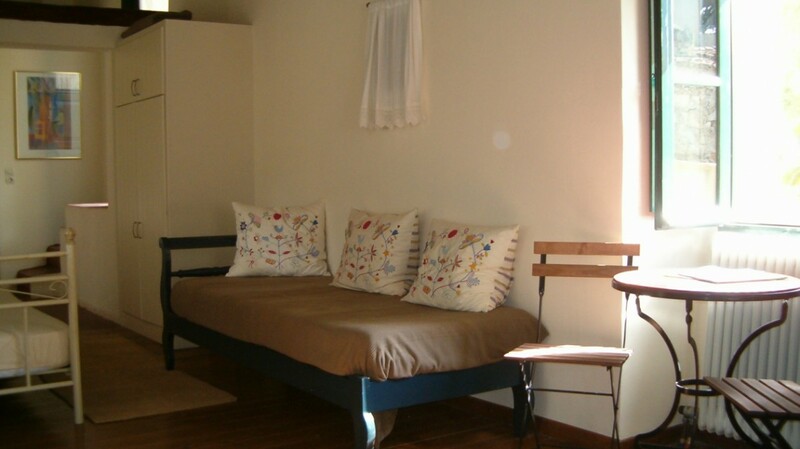 Central heating makes your stay in the winter period also very comfortable. 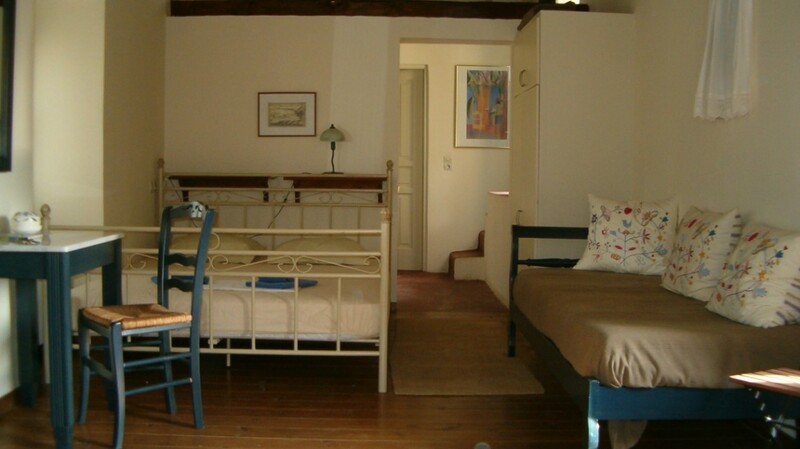 Both studios have a double bed. The extra persons sleep on normal sized couch (bed bank). 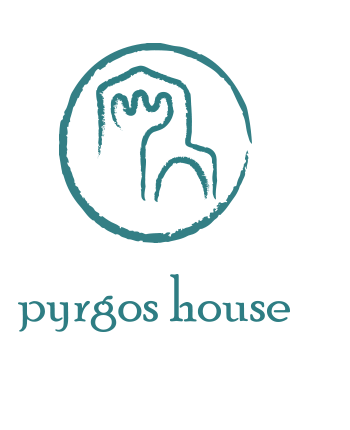 Cleaning, changing of bed linen and towels are twice a week. 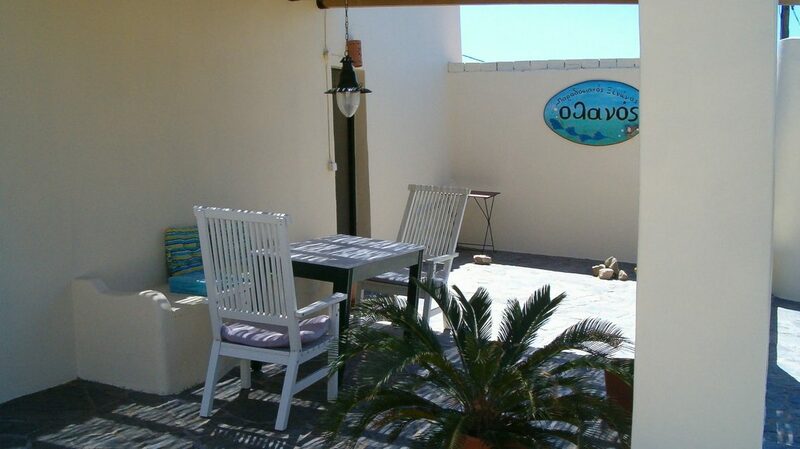 Prices are per night and based on a two persons stay, and included are cleaning and change of bed linen and towels. 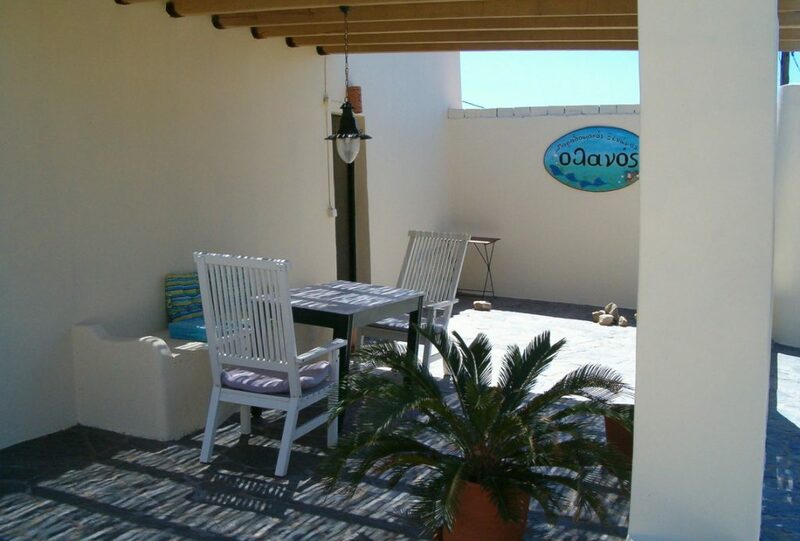 If you want to stay in Guesthouse Lanos with more than 2 persons, we ask a surcharge of € 10,00 for every extra person.